Life has been recently (I keep saying) full of challenges. Mourning my grandmother and then my cousin from a great distance. Struggling to write, in the wake of these griefs, sometimes terrified that my muse has deserted me, or that I’ll never write anything of significance. Missing faraway friends (though I am deeply grateful for the smaller circles that surround me here). Waiting through the long weeks of March and now April, through biting winds and chilly nights, for weather that truly feels like spring. 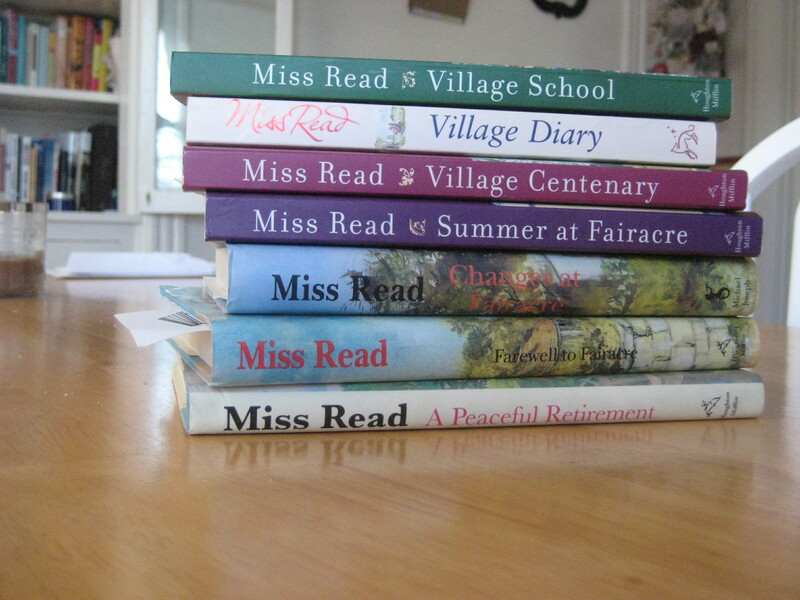 Sarah at Pink of Perfection asked recently what we like to read in the spring, and someone mentioned the novels of Miss Read, village schoolmistress at Fairacre (England’s answer to Mitford). I first discovered Miss Read in Oxford, and had read and enjoyed four of her Fairacre tales. That very weekend, I found Summer at Fairacre on a browse through Rivendell Books. I snapped it up and savored it, then found two more at the Brattle. And now I’m planning to make my way through the whole Fairacre series, and maybe the Thrush Green novels, too. These books are the perfect comfort reading – well written, with a bucolic setting, a witty and lovable narrator, a colorful cast of village characters, a pleasantly meandering plot. They’re a blessed escape from my daily frustrations and larger troubles. Sometimes a dose of gentle reading is just what the doctor ordered. 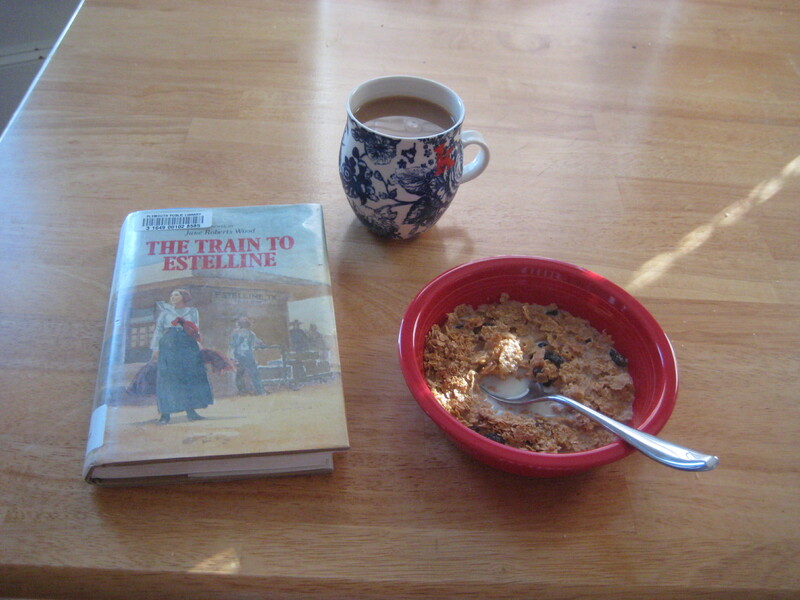 Along the same lines, I’m enjoying the Irish Country Doctor series by Patrick Taylor – a perfect cross between Mitford and James Herriot – and the Lucinda Roberts trilogy by Jane Roberts Wood (the first book is pictured above). And, this weekend, I reread Jane of Lantern Hill for the first time in years. Now I want to live in a little cottage by the sea on Prince Edward Island. What’s on your spring and/or gentle reading list? Very interesting! I haven’t heard of these books before but I’ll be sure to check them out. Further proof that reading is good for the soul. I don’t have a gentle reading list but it’s a lovely idea. I just read Tana French’s The Likeness and plan on reading her other 2 books, just in time for book #4 to come out this summer. Her characters crept about my mind and I keep thinking about the plot, even now a couple of days after finishing- the mark of a haunting and compelling book. I turn to Jane Austen, Georgette Heyer, Mitford, DE Stevenson and Louisa May Alcott when I’m feeling less than 100%, I’ve read a few of the Miss Read books (YEARS ago) I’m glad for the reminder of them! Take care, it will get better! I love “Jane of Lantern Hill” – such a fun book. And again, we appear to be book twins. I’ve been wanting to read the Fairacre books and put the first one on hold at the library, and I just got the email yesterday that it’s available for me to pick up. Can’t wait to dive in! I hope that your gentle springtime reading soothes your tired soul and gives you the pick-me-up you need. And that your weather cooperates! Do you know if by chance Miss Read’s books have been all ready translated in french? Hope you feel better – it has been 3 years now I see!